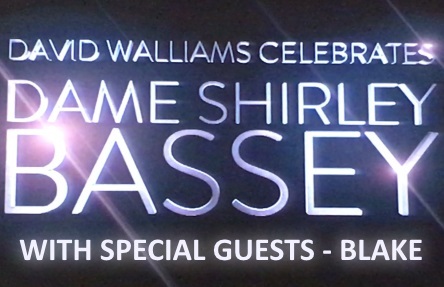 BLAKE have recorded a TV special for BBC1, to be aired on Christmas Eve at 9pm, joining forces with David Walliams to celebrate the life & career of Dame Shirley Bassey. BLAKE perform a unique duet with Dame Shirley, with a special twist! The trio and national treasure Dame Shirley have been working together throughout 2015 & 2016, recording a special Christmas single (The Christmas Song), performing on Graham Norton & Strictly Come Dancing, and headlining their own night at the Henley Festival, singing to over 7500 people. Coming together again to perform on this special TV show with David Walliams was another beautiful memory to add to the many that Blake have shared with the Dame!